One morning a couple of months ago I got in the car and my phone said travel time to my office 20 minutes and traffic was normal. 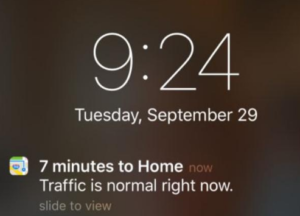 A new feature of iOS9 is the ability for Apple Maps to detect when you enter your car by syncing with Bluetooth. I didn’t find it invasion, in fact, living in one of the worst cities in the country for traffic, I welcomed the information. Now that I’ve had a taste of IoT and “things connecting to things” I want more, and it’s given me a glimpse of what the future of mobile advertising might look like. Ads will go from being disruptive to being useful, perhaps even helpful. Mobile devices will become your digital doppelgänger signaling to other devices your presence, preferences and patterns. For example, I’m on my way to LA for a meeting. My United app holds my flight itinerary, terminal and gate, Google/Apple Maps knows my current location, and my Starbucks app knows my buying behavior. My phone holds my intent, location and past purchasing history that could trigger opportunities to give me promotional messages as I journey to my gate. Given the early morning departure, I’m in desperate need of coffee. The wall-mounted screens on the “people mover” (in the future) could flash me offer as I pass, inviting me to stop at a convenient store location by my gate. In this new world, my order would be ready and waiting for me when I arrived. Being between two locations, and missing the closest one, I would of appreciate this information as I have no time to backtrack. Here’s the point — we are quickly moving to the ultimate marketing goal of getting the right message, to the right person, at the right time, and in the right place. But to enable this future, which will be data driven and permission based, the challenge for marketers is — how do we enbable it and/or keep from screwing it up? Retargeting – we have to stop being “creepy” by being better at targeting and knowing when to turn the “switch off.” Enough said on this topic, I think we all know the issues. Trying to be “personal” without having a relationship will get you into trouble. Overemphasizing Acquisition – IAB reported that digital advertising increased by 20%, and mobile by 66%, in 2015. Yes, there are certain elements of digital that deserve the investment, but attribution issues still exist. Take a hard look at your revenue mix and understand the most productive lead sources. Place your bets on improving conversion metrics, not just increasing volume. Don’t create a bunch of unnecessary noise at the top of the funnel. Undervaluing Upsell, Cross Sell and Renewal – With a future built on “permissions” existing relationships are the perfect starting point. Invest in helping customers become better consumers by thinking for them. 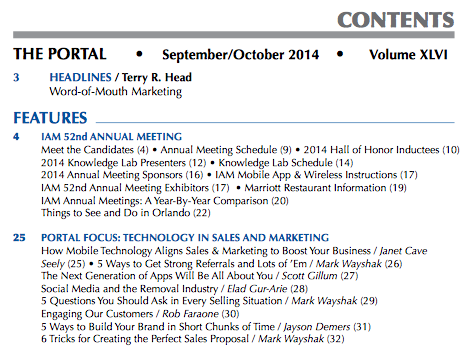 Reposition marketing activities from being interruptive to being helpful, innovative and informative. Proactively reach out to them with offers based on their behaviors, focusing on how it will help them in their role, and not necessarily how it directly benefits your organization. Trust me, it will come back to you. Scrutinize Technology Investments – ChiefMarTech estimates that there are now over 3500 MarTech providers. It’s a “killing field” as Larry Ellison once described it. Over the next 2-3 years companies will either 1) run out of money, 2) merge or 3) be acquired. Carefully consider and select partners that will help build new mobile platforms, capabilities and tracking. Invest the time to get to know their business/funding model, existing customer base, and account team. In the near future, highly personalized ads will spawn in real time based on consumer’s intent and location… and they won’t just appear on devices. Let’s hope that point arrives soon. I really could of used that Grande Dark for the plane ride. Airline coffee may say it’s Starbucks, but it really doesn’t taste the same. It’s the time of the year to look back over the last 12 months and create a “best of” list. This year I’ve pulled the most popular posts from five different sites; Adage, Business2Community, Forbes, Fortune and LinkedIn. In addition, I’ve thrown in a few other noteworthy nuggets from the year at the end of the post. Adage – Why Apple Pay Could be Huge, And It’s Not What You Think explored the potential upside of Apple Pay as an advertising platform. It sparked the most conversation, and debate, on Twitter. Time will tell if they this strategy will come to fruition. 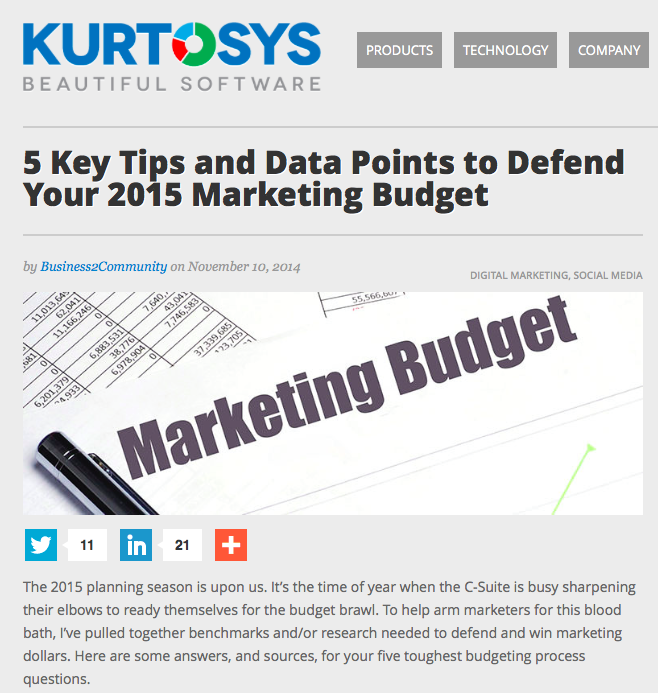 Business2Community – 5 Key Tips and Da ta Points to Defend You 2015 Marketing Budget. The last post of the year required the most man hours, and it was the most reposted story of the year. 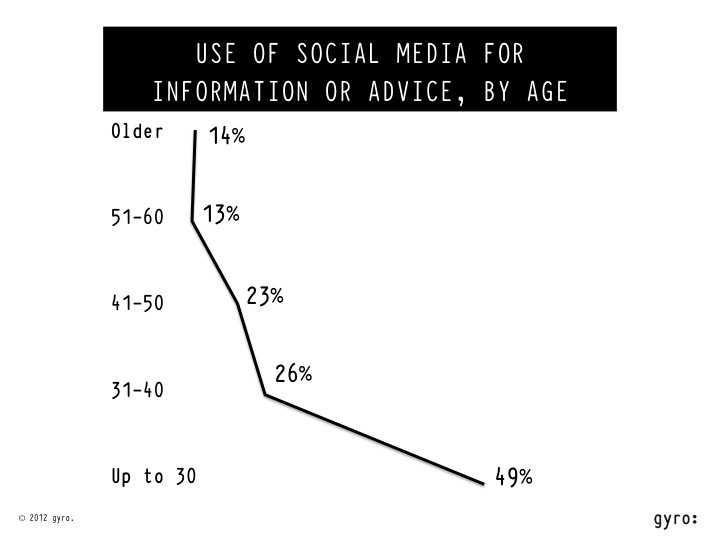 It offers marketers help with their 2015 planning activities in the form of free research and benchmark data. 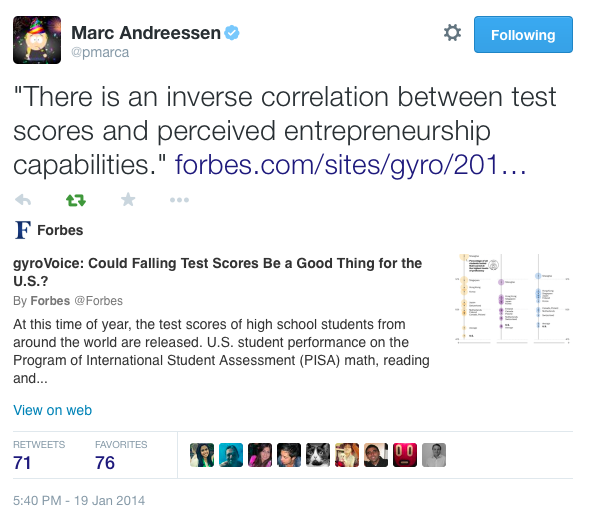 Forbes -the most popular and shared post of the year, Could Falling Test Scores Be a Good Thing for the US? explores the link between test scores and success in business. It also highlights the risk associated with over emphasizing left brain analytic skill development, outlined by Sir Ken Robinson in his Ted Talk video Do Schools Kill Creativity? The endorsement of Marc Andreessen certainly played a big role in the popularity of the post. Fortune – Are Marketers Measuring the Right Things was the first post I wrote for our new partnership with Fortune. It profiles the efforts of Ciena, a networking company, to elevate marketings role, and importance, within the organization. The post highlights an unique survey tool used to gather feedback from the sales organization on the performance of marketing (see the dashboard below). LInkedIn – 2014 marked my first year publishing on LinkedIn. Based on my experience so far, I’m not convince it will viable platform for content unless it becomes better policed. Too much promotional material seems is making its way on to it. At this point, I’m not sure I’ll continue to post. That said, the most popular post on LinkedIn was also one of the most popular on Adage. The Keys to Differentiating Your Company From Others provides tips on how marketers can humanize their corporate brand to better resonate with audiences. It also identifies one of the common flaws of B2B communication – thinking that what you sell…is who you are. Hopefully, it also helped generated a new client for a follower. 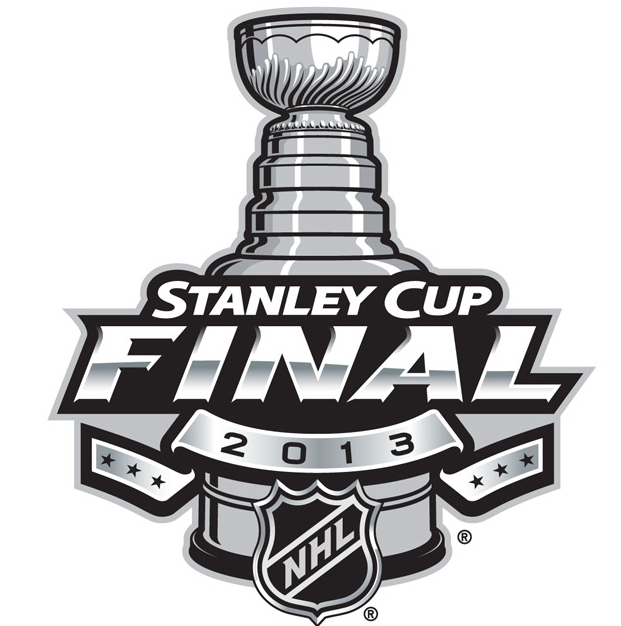 A couple of other noteworthy happenings from the year. The Next Generation of Apps Will Be All About You post that ran on Advertising Age was reprinted in the Sept/Oct version of The Portal magazine, a bi-monthly publication produced by the International Association of Movers. 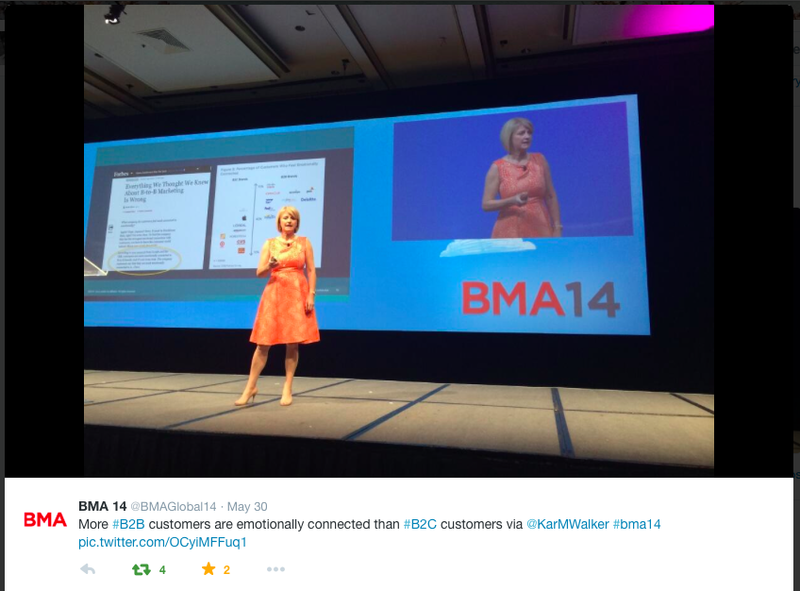 Karen Walker, SVP at Cisco, highlighted my post Everything We Thought We Knew About B2B Marketing is Wrong in her presentation at this year BMA member meeting in Chicago. The post now has close to 70,000 views. Happy New Year! Here’s to an exciting year to come. Black Friday is like the “annual report” for mobile advertising – a yearly snapshot of how mobile ads are progressing and evolving. The big challenges are perennial – the gap between time spent on mobile and ad dollars allocated, consumer perception of mobile ads as annoying and intrusive, and low click rates. But every Black Friday, innovations and learnings from the past year move the needle on these challenges. 2. Behavioral relevance will scale to reach holiday shoppers. “Targeting mobile users by behavioral segments, such as those from BlueKai, and executing these campaigns at scale using real-time bidding [RTB] is making us better at being relevant,” according to Shomaker. Pulling in social “likes” and shares and adding those to the audience segmentation model further improve the relevance of behavioral targeting. As mobile ads become less annoying and more relevant, clicks increase, thus creating an empirical basis for more mobile ad spend. 4. Consumers will overcome the “fear factor.” IAB Rising Stars Program keeps user context and teaches audiences that it’s “awesome” to click mobile ads. Users fear the unknown, and this likely plays a role in today’s low response to mobile ads. 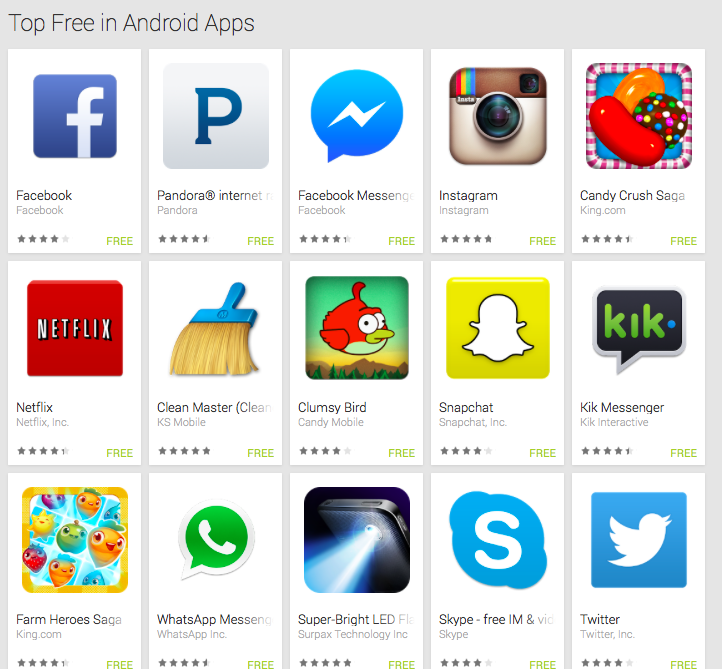 Will clicking a mobile ad take you out of your app and lose your context? Not so, according to Shomaker. “The ads aren’t designed like that, because no one wants an ad to take them away from the place they want to be. The ‘IAB Rising Star’ ad units will allay those fears.” The Mobile Filmstrip unit, Pull unit, Adhesion Banner, Full-Page Flex unit, and the Slider unit take great care to bring brand assets into the ad rather than requiring a jump outside the app or a loss of context. 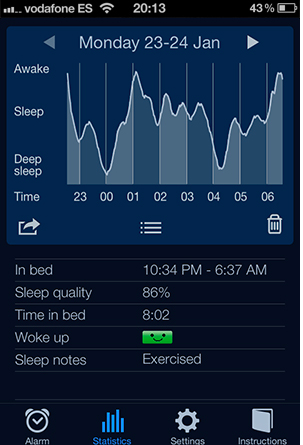 It also all leverages touch, to keep mobile users engaged and in control. All told, mobile promises to become a much larger part of the marketing mix this Black Friday. It will also provide a window into how quickly the third screen gets adopted into commerce as a whole. Happy shopping. 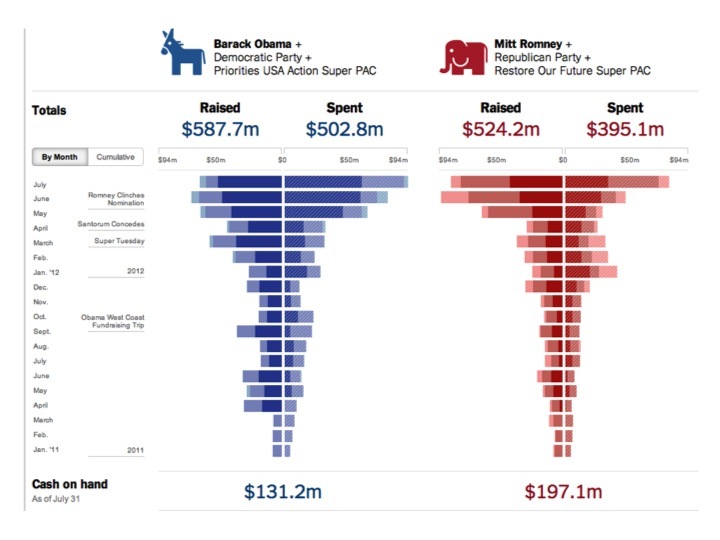 The 2012 Presidential election will be the most expensive in history. According to the New York Times the candidates will raise and spend over $1 billion dollars seeking office. For marketers, this election will yield a windfall of new ideas. Political campaigns are to marketing innovation what big defense budgets are to technology innovation. As the result of massive advertising budgets, high adoption rates of social media and penetration of smartphones, expect to see groundbreaking innovation in mobile advertising. 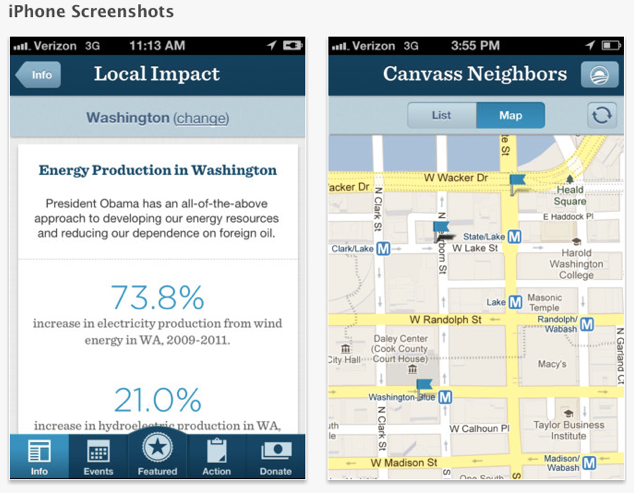 Hyper-local targeting – the Obama campaign team has developed an app that links a Google map to the neighborhood volunteers are working. The map contains blue flags at homes to be knocked, including scripts for approaching individual voters. Mobile payments – the Obama team developed a new program called “Quick Donate.” Supporters can contribute repeat donations by sending the number of dollars they want to donate via a text message. Social Sharing – Romney’s With Mitt app allows supports to choose from a number of “With Mitt” templates to upload a photo from their phones and quickly share it on Twitter or Facebook. Real time data – both camps have apps to enable volunteers to report real time activities and interactions with voters. Vote Builder, the democratic voter database, ensures that no two people are sent to the same address. If a volunteer wants to canvass an area, they can click to download a list of households in their general radius. Phones prompt volunteers to report back their results so that future campaign communications, like DM, can be targeted. 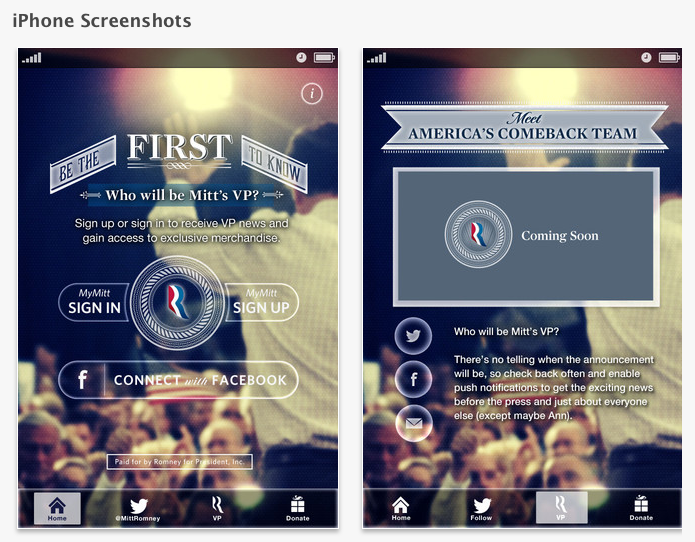 Engagement – Romney’s campaign team captured valuable information from supporters who downloaded the Mitt’s VP app. The app promised to inform supporters “first” about the vice president pick. Unfortunately, the news media beat them to it, but it will allow Romney’s team to push notifications throughout the campaign to supporter’s smartphones. With less than 10 weeks remaining in a tightly contested election expect more innovations to come. With over 160 million Americans on Facebook and 53% of mobile phone owners having smartphones today, mobile digital campaigning is changing the way political strategists are engaging audiences and investing advertising dollars. For marketers, it’s mobile marketing R&D that we could never afford, and will bear fruit for new ideas and campaigns for years to come. Regardless of who wins the election, the real winners from this year’s campaign will be the folks without the billion dollar-marketing budget.